Dairy cream is the fat layer that gathers at the top of untreated milk. In international cuisine, it is widely used as it can be heated, aerated or used as coffee whitener. Cream alternatives have been on the market for a while but as they can still contain dairy ingredients, they are not suitable for the vegan market. KaTech has been working on several vegan alternatives that match the properties of dairy cream products. Depending on the required cream product the vegan alternative will be heat stable, whippable or can be used as coffee whitener. In our developments, we are avoiding the use of palm oil wherever possible. Please have a look below to find out more. The vegan cooking creams that have been developed match the properties of dairy cream. The product is smooth, very creamy and remains stable during cooking. Why not try adding some savoury or even sweet flavours into your cooking cream? We have solutions for every idea. As cream is often used in coffee to whiten it, KaTech has developed a vegan coffee cream. This vegan cream manages to achieve the expected whitening/creaminig effect that is hard to get without using dairy components. If you want to find out more, please get in contact with us. The biggest challenge of producing vegan cream products is to keep proteins stable and to keep fat well emulsified. If proteins are damaged during processing, it may result in a grainy and unstable product. You can benefit from the expertise of KaTech to find the most suitable stabiliser systems for your product and processing requirements. 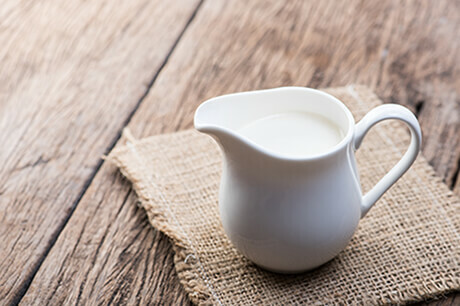 As the vegan cream products are based on different milk alternatives available on the market, the cost optimisation opportunity is to look at the price of milk alternatives and to find the most cost effective combination for a high quality product at a reasonable price. If you are interested to find out more, please get in touch with us.